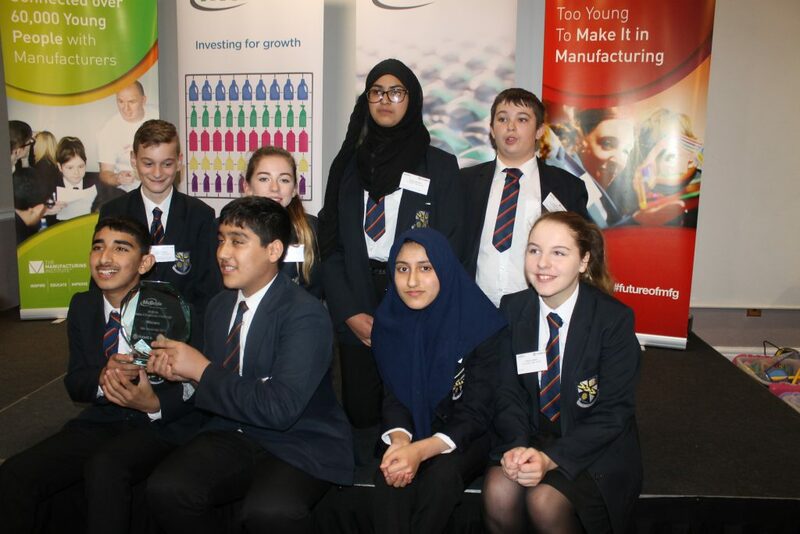 Year 9 Derby High Students fought off fierce completion from nine other schools to win the coveted McBride ‘Make It’ Enterprise Challenge Trophy 2017. The event which took place at the Norton Grange Hotel in Rochdale always attracts high calibre competition. 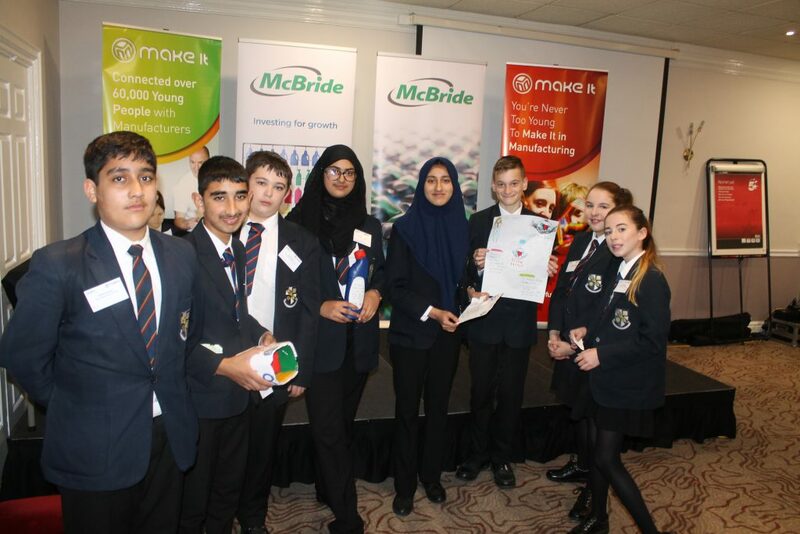 The Manufacturing Institute’s Make It campaign is a programme of education-business linked activities that are designed to support the curriculum and to create links between schools and manufacturing partners. This event was sponsored by McBride in Middleton. They are a huge own label supplier of household cleaning and personal care products. The aim of the day is to work in teams of eight people to design a multi- purpose liquid dispenser and refill pack. The students had to organise themselves in specific roles to ensure the team was well led the products were designed, produced, costed and marketed effectively. Their superb team efforts, hard work and practice were noted by the judges and the Derby confidently delivered their presentation with clarity and poise. What was amazing was how the team exude desire and passion to succeed, showing that they had enjoyed every minute of the completion. This was a brilliant opportunity to be involved in! See below: The team ready for action and delight at winning the prize.